Hello Digital Photography Goodby MLS Books. Get Over It! The Real Estate Listing Photograph was a very lonely creature when I first began my Real Estate Career. There was only one black and white real estate photograph that lived in the MLS Books. The MLS Books were about the size of the Yellow Pages Telephone Directory. Today our Trend MLS and other search portals can feature up to 25 color property photos. 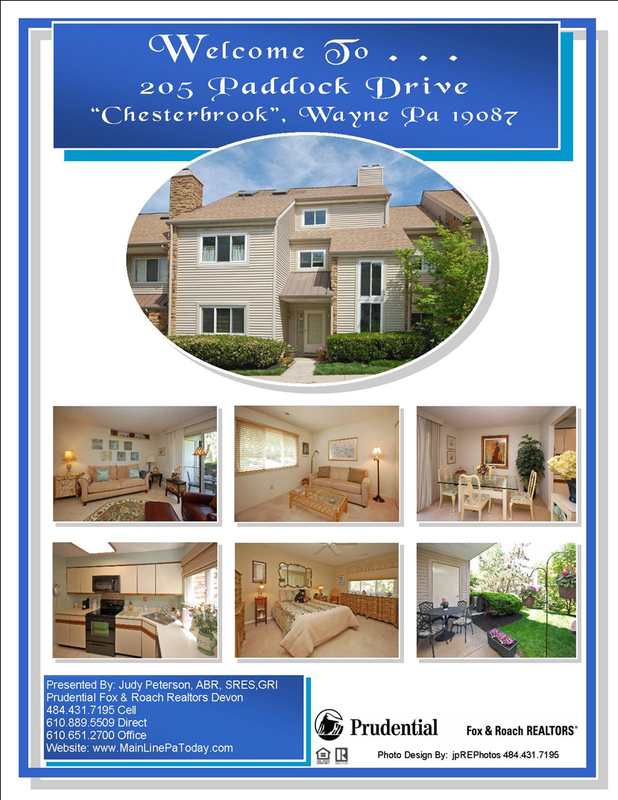 This is a brochure showing photos of a pending sale in Chesterbrook that drew numerous showings, open house visitors and offers to purchase. I saved this article from the Wall Street Journal. It shows not only the direction but the acceleration of changes since the days of MLS Books. And in less than a year, it shows the benefit of good photographs not just for high end properties, but in every price range. The National Association of Realtors reported last year that 98% of all Buyers begin their search online! This entry was posted on Monday, August 1st, 2011 at 8:32 am	and is filed under Chester County, Chesterbrook, Delaware County, Home Sellers, Montgomery County, Real Estate Photography. You can follow any responses to this entry through the RSS 2.0 feed. You can leave a response, or trackback from your own site.